This route would let us experience most of the terrain types of the Olympic National Park as well as experience several river fords (Something we were a bit nervous about, but turned out to not be a big deal). Several years ago there was a major washout 5.5 miles from the Dosewallips trail head. This does add road miles to this route, however the road is mostly grown over with vegetation now and is fairly easy walking. We left on my 31st birthday and because we spent the day with family we got a very late start. We were hoping we could get the 5.5 miles of road hike out-of-the-way before setting up camp. However, since we didn’t get to the washout until after dark, we hiked about a 1/4 mile and camped on an abandoned forest service road. Even though we didn’t hike very far in the dark I did twist my ankle on a root before we setup camp (Be very careful hiking at night, even with headlights). Luckily, with my boots I could still walk fine but for the next 3 days I did pay for it every time we stopped for the night with a fair amount of pain. Nothing was going to stop us on this hike though. We waited almost a whole year to go! We got a very early start and hiked up the Dosewallips road. After we got the 5.5 miles out-of-the-way and ate breakfast at the Dosewallips trail head. After leaving the trail head we climbed steadily pretty much for the rest of the day. It was also very hot, with temperatures reaching the low 90’s. Luckily there are a lot of creek crossings so water was never a problem. By the time we reached our next camp at Deception Creek we were very tired. We had hiked roughly 13 miles, most of them climbing in hot temperatures, and after eating dinner we built a fire and relaxed. We got another early start. This was our shortest day on the trip. The plan was to go roughly 5 miles and set up camp at Dose Meadows. We were going to use this day as a rest day, knowing that the next couple days would be longer. Dad was doing pretty good, but I was dragging. I’m not sure if it was dehydration or what, but this was the hardest 5 miles I’ve ever hiked. Every mile or so I would have to stop and rest, and I felt sick to my stomach. The views were stunning though. And while it took us longer than expected, we did reach camp. After setting up camp at Dose Meadows we took a side trip up the 1 mile climb to Lost Pass. 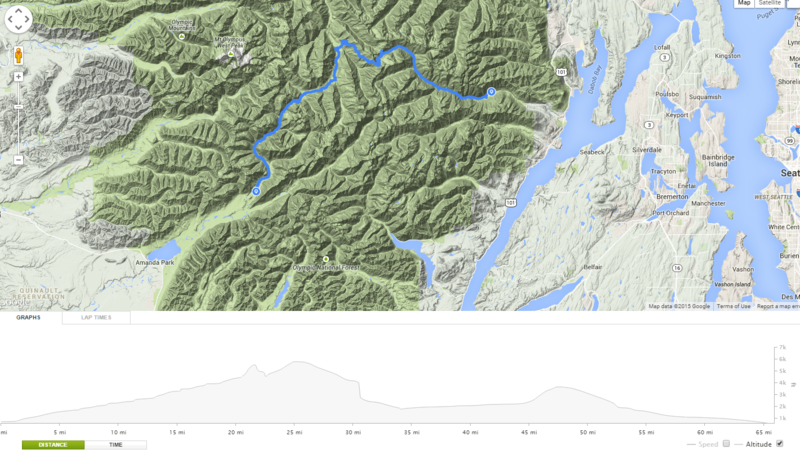 While it is only 1 mile, you gain roughly 1500 feet of elevation so it is a tough climb. Without packs though it was a fun climb and I started feeling better the higher we climbed. Reaching the top made the entire day worth it. Simply put: Lost pass is stunning. There are views in all directions and all kinds of wildflowers covered the pass. I think I can say that this was my favorite part of the entire trip. Dad and I spent almost 2 hours on the pass just looking around and enjoying the views. We finally made our way back down from Lost Pass and spent the rest of the day just resting and enjoying the Dose Meadows. The meadows are very peaceful and full of wildflowers. After dinner a buck deer decided it wanted to come visit us and walked right into camp. It was a great ending to the day. Another early start and we were heading up towards Hayden Pass. I was feeling better and we made good time as we climbed the last few miles towards the pass. We spent a few minutes at the base of Hayden Pass visiting with some other hikers and resting near the creeks that form the headwaters of the Dosewallips river before starting the last climb up the pass. Most of the snow was melted with only a couple of sections of the trail covered and about 45 minutes later we were standing on top of Hayden Pass. Once again the view was stunning. On one side of the pass we could see back down the Dosewallips River valley and on the other side we saw the Elwha River valley as well as Mt. Anderson, Mt. Olympus and the Bailey Range. We then took off heading down from Hayden Pass towards our next camp in the Elwha River Valley. A few minutes after Hayden pass we came upon a bear that was sleeping and taking a bath in a small icy pond. He was not thrilled we woke up, glared at us and jumped over the edge into some trees. The rest of the day was mostly uneventful. The Hayden Pass trail is easy to go down on, it would be a difficult climb, but by 3 in the afternoon we had met up with the Elwha River trail and were soon at our next camp at the Hayes River Ranger Station. Finally Found A Chair In The Wilderness! Day 4 ended up being an 11 mile day. The plan for Day 5 was to hike from the Hayes River Ranger Station to Chicago Camp and have another shorter rest day. We set off and were making good time. The Elwha River Trail is a mostly flat trail, which was a nice change from all the climbing we had done to get there. We arrived at Chicago Camp around lunch time. After a nice lunch by the river, we decided we were not ready to stop for the day and wanted to push up towards the Low Divide. The river ford at Chicago Camp was easy. There were a bunch of trees down so we could simply walk across. If we would have had to go through the water it would have been about knee-deep and was moving at a pretty good pace, so I’m glad there was an easier way across. We knew that once we left Chicago camp we would have to climb the 3+ miles up to the Low Divide as there are no other places to camp. The climb was pretty steep, but we made it to the Low Divide in a couple of hours. Day 5 ended up being around a 12 mile Day. The plan for Day 6 was to go from the Low Divide to Elip creek which would put us about 6 miles from the North Fork of The Quinault trail head. We left the Low Divide without eating breakfast to avoid those nasty mosquitoes and made really good time over the 3.5 miles to the ford at 16 Mile. At the river we ate breakfast, mosquito free, and then forded the river. The ford at 16 Mile was the one ford we were most nervous about, but it ended up being a non issue. The water was between knee and lower calf deep and moving at a good pace, but with two poles (or sticks) we were able to make it across just fine. After the 16 mile ford we kept a pretty steady pace along the North Fork Of The Quinault trail and made it to Elip Creek in the early afternoon. We ate lunch and decided that since we had already hiked 11 miles, we could probably walk 6 more and be out a day early. We were having a great time, but it would get us home to our family a day early as well, which after 6 days in the wilderness was nice. We lifted our backpacks up on our shoulders one last time and hiked out the last 6 miles. Day 6 ended up being around a 17 mile day. Overall this was an amazing trip and a great route. We met some great people, such as a couple of scout groups working on their 50 mile badges, and saw some stunning wilderness. I’m truly blessed I can spend this time and make lifetime memories with my dad and I can’t wait to go on many more trips like this in the future. woowwwww,very nice trip…i hade seen all pic.outstanding beuty,unforgetable Nature’s blessing.u did a great job guya.best of luck.